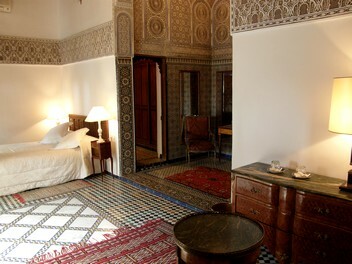 Located on the first floor, the Royal suite is very typical from Fez with fine mosaics, an impressive painted ceiling and amazing carved plaster. 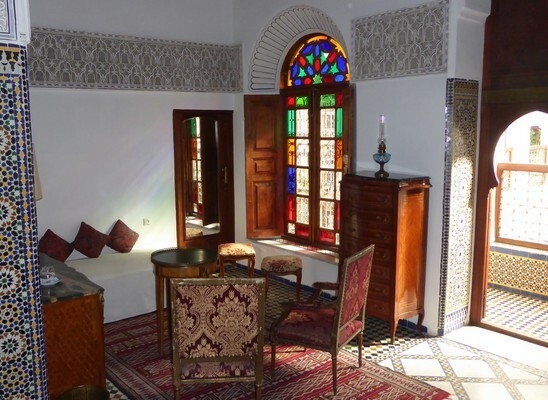 It is composed of a main room with a double bed, a small extra bedroom for 1 person, and an alcove richly decorated in a traditional way. Its large bathroom has a tub with a shower and a separate toilet. Possibility to add one extra bed. 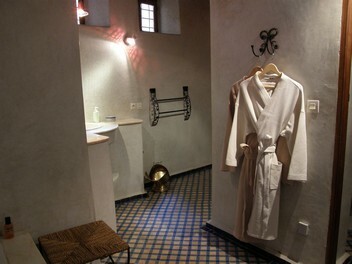 Room with air conditionning, safe, free wifi access.